WeSwarm, a project from students at Parsons the New School for Design, has beaten dozens of teams from around the world to win the annual EDF Sustainable Design Challenge, which occurred in London earlier this month in London, England (where EDF is a major electrical utility). Their project will be showcased in the EDF Pavilion during the London 2012 Olympic and Paralympic Games, together with the videos of the first edition winners. They will also be showcased in the “Energy Lab” during the Lille 3000 “Fantastic” event, in France from October 2012 to January 2013. 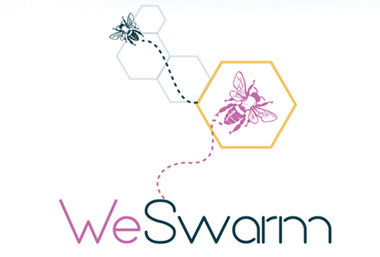 As winners, the WeSwarm team will also receive € 5000 (roughly $6,092) to further develop their proposal. The EDF Sustainable Design Challenge was founded in 2010, and brings together students from all over the world to respond to the same challenge: to come up with creative concepts to encourage responsible energy behavior in the future. WeSwarm, Parsons’s winning project, is a mobile application on which users can plan routes (everything from vacations to everyday commuting), based not just on the traditional Google Maps options – walking, car, or mass transit – but by price, cost, and impact on the environment. Users can compete against their friends, and win points redeemable for discounts from local vendors, reduced mass transit fare, and more. The WeSwarm team was made up of six undergraduates: Natsuki Hayashi, Hannah Kramm, Juliette Lefort, Leila Mougoui, Lou Wright, Carlos Yusitis. Minh-Nguyet Le, the teaching assistant and a graduate student in Transdisciplinary Design, represented the team at the competition in London.